There is always leftover rice after every meal. 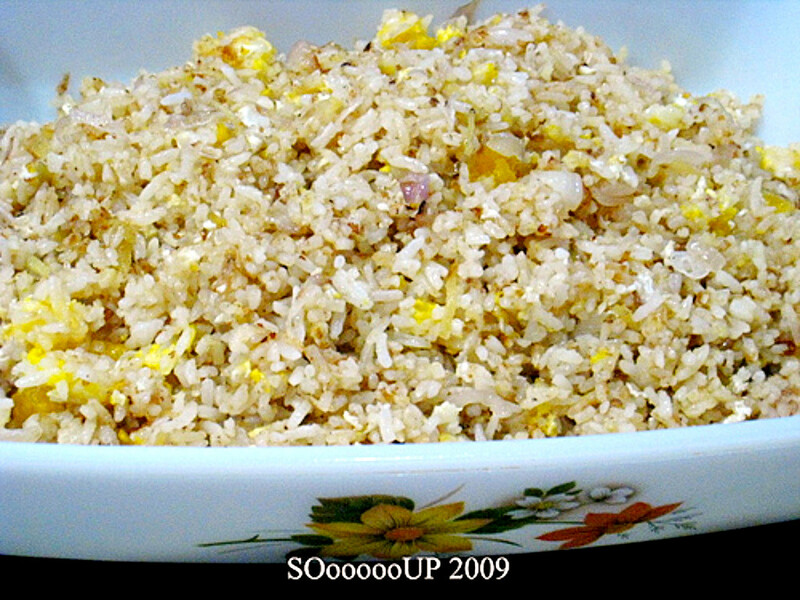 Fried rice is convenient food, without having to cook extra dishes. I like to fry rice simply just by adding dried shrimps, garlic, ginger and eggs (or salted egg to make the rice more tasty), without meat or awful frozen vegetables (peas, carrots and corns).